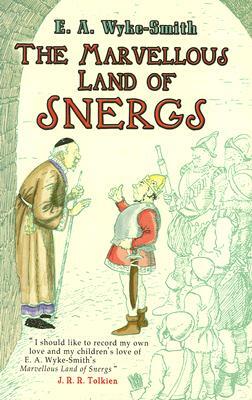 Located somewhere in "a world apart," just beyond the reach of current navigational tools, lies the land of the Snergs, a haven for countless neglected children, all of whom are watched over by maternal women. Also inhabited by a sturdy race of generous people no taller than the average table, the realm is surrounded by a forest occupied by friendly bears. Into this unusual kingdom come Joe and Sylvia, two youngsters who have slipped away from home in search of excitement and adventure. They get more than enough of both as they come upon the children, as well as kings, knights, an evil witch, and a cap of invisibility (which doesn't seem to work.) Accompanied by Gordo, a dwarfish Snerg with a reputation for being a lovable klutz, the trio leapfrogs from one fantastic adventure to another. Tolkien called this forgotten classic a "sourcebook" for The Hobbit. A whimsical delight for readers of all ages, this E. A. Wyke-Smith's enthralling adventures is must-reading for any Rings fan.